Triangle Sales braves weather to complete Mid-Winter Sale with improved prices over last year and offers consignors affected by the conditions a slot at next sale. Shawnee, Oklahoma, March 11, 2015 – Triangle Sales didn’t let bad weather dampen their spirits and pushed through the winter storm to hold their Mid-Winter Sale February 27-28. 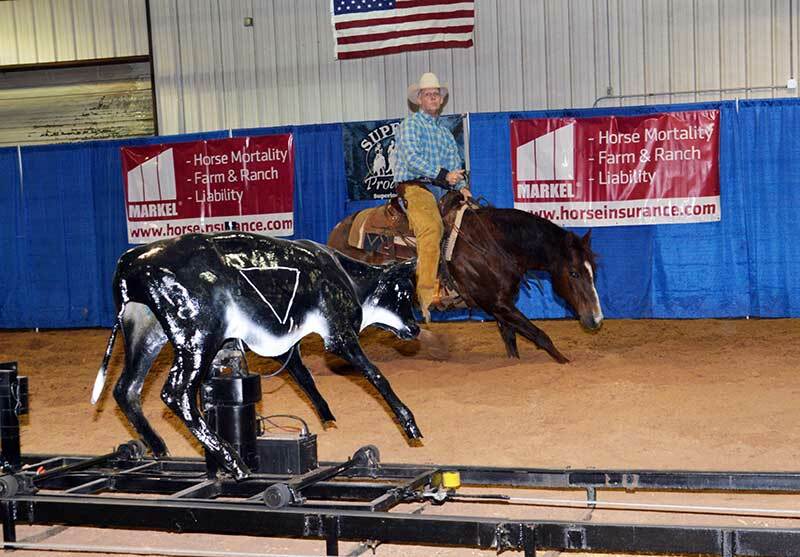 Although 20 percent of the total horses cataloged were withdrawn because road conditions didn’t allow some consignors to make it to the Shawnee, Oklahoma, auction site, 82 percent of the horses passing through the ring were sold, and the average sale price for all horses was $5,500. The average increased 42 percent compared to Triangle’s overall average at the 2014 Mid-Winter Sale and equated to an even larger increase than the record-breaking 2015 Winter Sale, which had a 35 percent increase compared to the prior year. Buyers came from three foreign countries – Mexico, Columbia, Egypt – and 19 states with Oklahoma and Texas showing the strongest support predictably because of the weather. 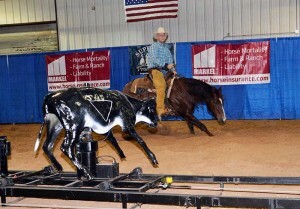 Jerry and Diana Cunningham’s Catto Boy topped the sale with a bid of $28,500 from Andy Olson. DLH BN A Cat, who was consigned by Burke Sullivant and the second-highest seller, was purchased by Perry Corder for $25,000. The top five sellers averaged $23,940, the top 10 averaged $21,440, the top 20 averaged $17,780, and the top 50 averaged $12,025. To assist the valuable consignors that were unable to make it to the sale due to the weather or those consignors that “passed out” a horse in the sale, Triangle Sales is offering a free entry in the Spring Sale in May. This offer is good for the original consignment or a substitute horse. Triangle Sales announced in January that the Mid-Winter Sale, which is usually held in February, would be discontinued after the 2015 edition and the February and May sales would be combined in 2016. The next sale, the Triangle Spring Sale, will be held May 1-3, and buyers can expect the same type of consignments as in previous sales but with the introduction of the first spring mare market, first ranch sorting spectacular and first Future Fortunes barrel session. For more information about upcoming sale dates, visit our sale page. 42% Increase in Total Average Over Triangle’s 2014 Mid-Winter Sale; an even Higher % Increase in Average Than The Record-Breaking 2015 Winter Sale which had a 35% Increase in Average over the 2014 Winter Sale! Offer Extended To All Sellers During Opening Comments: Due to weather conditions – free entry in Spring Sale (May) for any customer withdrawing a horse (or) any customer “passing-out” a horse. Offer good for original consignment or substitute.